Capture the value of kitting without breaking your ERP system or budget, while also reducing manual processes. While there are many tools out there to “manage field inventory”, in reality, most of your inventory is being tracked manually–this is cumbersome, error-prone, and affects your bottom line. You’re paying for it, but it’s not your fault. Current systems are simply not designed to help you track –let alone manage–your inventory properly. Medical device inventory management is complex and unique. Every year, hundreds of millions of items are shipped back and forth by medical device manufacturers for surgeries–often within kits. Unfortunately, while kits themselves can be set up in various inventory tools, the systems currently used to track these so-called “kits” are not tracking the items within a kit. Efficient visibility, control, and transportation of kits are essential to any medical device company’s supply chain. Kits are created in ERP Systems from a manufacturing perspective, which does not make the back-and-forth transportation more efficient from a requesting and ordering perspective. And isn’t efficiency the whole purpose of kitting? The whole industry has had to suffer from this mismatch, and it’s costing everyone. ERP systems treat a kit as a single, indivisible item. Like an Ikea furniture package, for example, a chair kit has all the components inside that you need to make a chair. Once the chair is assembled, all the individual items are used up. That’s how “kitting” works in the traditional field inventory and ERP worlds. 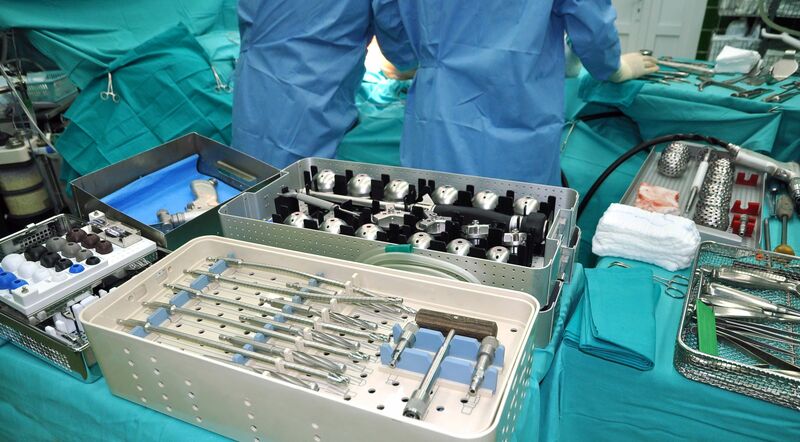 Medical device kits are not traditional. Medical device kits are not furniture kits. Medical device kits are unique and need to be handled in a specialized way. In the medical device world, once you create a kit you still need to keep track of what’s inside of it. A kit still exists whether all the components are in it or not. In the example of a chair, you couldn’t say “Hey I made this chair”, and then remove the back, an armrest, and a leg and then claim: “Well it’s still chair” because it’s not anymore. And you can’t do anything with an incomplete chair. That’s how kits are typically viewed in current medical device software programs. For anyone who needs to track inventory, the challenge is that kits need to exist in perpetuity. Regardless of what its contents are at any given time, you need to track the components within each kit. That’s very different from how the ERP and traditional systems work. They typically will have only a record or listing of the components. The kit itself doesn’t have a value and the other tools can’t ascribe a value to it because the value changes constantly, and a kit will vary depending on usage, adjustments, and local specific requirements. These variables are not your fault, even though it is your job to fix it. If there is a software solution managing inventory, and most of your inventory is kitted, but the system does not manage inventory within kits, then is your inventory really being tracked or managed? Kits need to be tracked, but so do the individual items. If there is no visibility, then there cannot be control either. Typically, current kitting software systems create a single item called a kit, but they don’t actually store inventory components within it. From a system perspective it’s no different than any other item–besides labeling it ‘kit’, and storing a manifest somewhere that defines which components should be inside the kit. The inventory system won’t let you ship the kit out unless it’s complete because it doesn’t actually track what is inside of it. This creates workarounds and a multitude of manual processes. In the end, the process of checking what’s inside of the kit against the manifest is a manual process. Or if part of it is automated, the ability to control, edit, change, or adjust is not available. Managing the kit itself happens outside the software, so you don’t see the benefits of having an inventory tracking software, as it is not even tracking most of your inventory. It’s a problem the industry at large has been struggling with for years. A tool that tracks individual items within the kits is needed. There is hope. There is a better way. One way to use kits the way they were intended–to increase visibility, to make ordering easier and transportation more efficient, and thereby increasing asset utilization–without being trapped by the limits of an ERP system or manual processes, is to use tools that were designed specifically for medical device kitting complexities. With better, purpose-built tools you can have confidence that your system will track every single item in real time, wherever it ends up. You will passively collect additional data, find and control resources, and save time. You can capture the value that kitting brings by using software that truly handles all of your inventory–even when it’s inside a kit, or after it has been removed and is now a loose item.